Read all the blogs about growth out there and you might glean that growth hacking is an exclusive mindset that some people just get. But like any other area of business, growth hacking is something you can engineer with the right arsenal of tools. Selecting the right ones to grow your product can be daunting. That's why it's vital to test tools properly. Select each tool with a hypothesis of how it will create growth in a particular stage of your customer lifecycle. Piece your tool stack together so that for every objective, you're testing a tool and measuring its impact. Much like using growth hacking techniques to experiment with growing parts of your business, you should employ growth hacking tools on an experimental basis too. Set a goal. Whether it's to double your email list or find your stickiest features, localize an area for growth and choose your target. Pick a tool (see list below) based on what you're trying to achieve. Try it out in your team. Give it a chance to work and measure the impact it has on your funnel. If the results are good, adopt the tool and explore how you can get more mileage out of it. There are innumerable ways to get new users into your product. Pick and choose from the following tools to inject growth into your email list, to get more readers to the end of your blog posts, to measure the effectiveness of your blog titles— in short, get your product in front of new people and show its worth. Use Leadpages to create landing pages that are designed to maximize acquisition. Sort through templates to find one that works for your industry and customize them further to express your unique product. Each page helps drive visitors to a particular type of conversion, whether that's inserting an email, downloading a free guide, or registering for a webinar. Professional. $199/mo. 250 checks and real user monitoring. On a sliding scale based on your website traffic. Prices start at $600/mo. Unbounce lets users “quickly build custom landing pages for any campaign.” There are loads of templates to choose from. Try different designs with different CTAs and use Unbounce's analytics to test the conversion rate of each one. 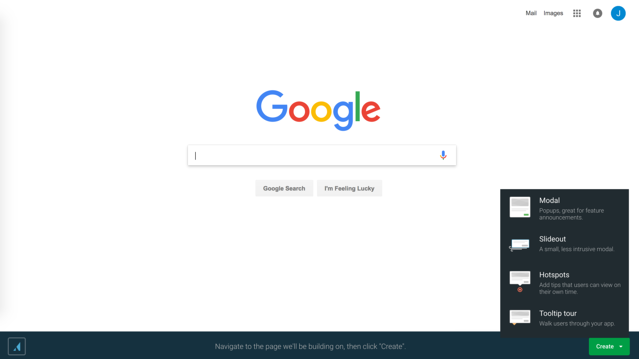 Or choose an overlay — a window that appears in front of your page, engaging with users when they perform certain actions to help coax them through conversion. Enterprise. $499/mo. 500,000 unique visitors. Pro. $199/mo. 100,000 unique visitors. Pro. $99/mo. 25,000 unique visitors. Starter. $49/mo. 5,000 unique visitors. Free. 1 website. Limited monthly website visits. Small. $29/mo. Up to 5K website visits. Medium. $59/mo, paid annually. Up to 50K website visits. Big. $119/mo, paid annually. Up to 500K website visits. Sumo. Contact company for pricing info. Unlimited visits. 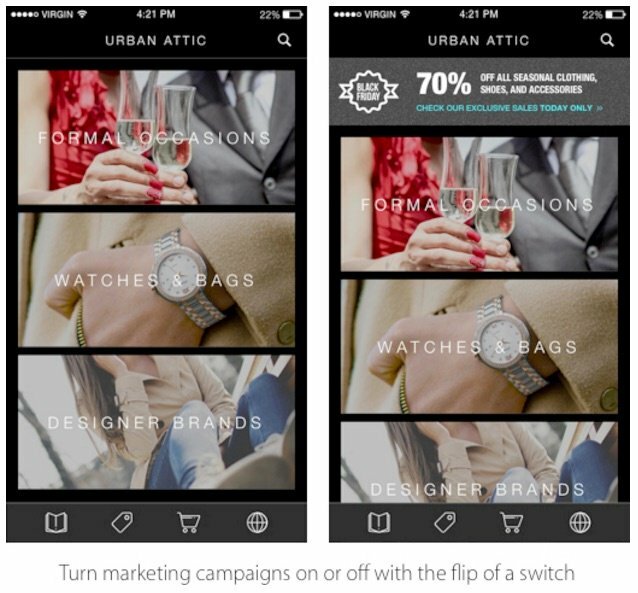 Gamify user acquisition by installing a Maitre contest on your site. It works by incentivizing visitors to spread the word about you. 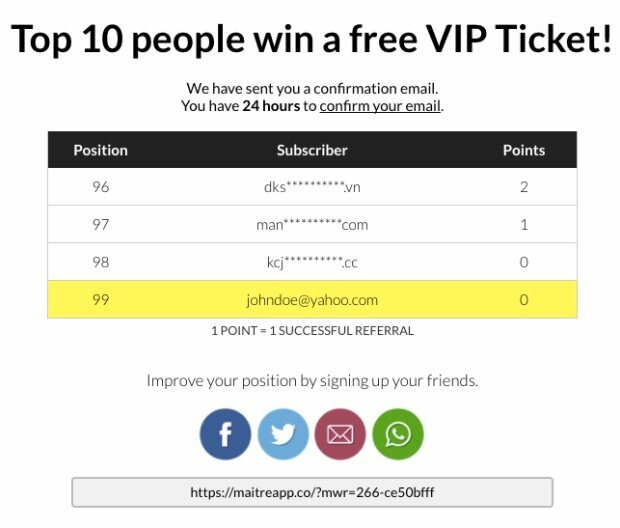 For example, one contest you could try out is a “Viral Waiting List.” Publish a leader board on your page and invite visitors to share with their friends. The more email addresses they recruit, the higher their name climbs on the leader board. Different kinds of viral contests are available depending on what's important to you. It might not be a tool you use for the rest of your app's life, but it's a great way to get a rapid boost in views and email subscribers to build some momentum. Basic. $29/mo. 1 campaign. 50K subscribers. Pro. $49/mo. Unlimited campaigns. 50K subscribers. Managed. $399/mo. Unlimited campaigns. Unlimited subscribers. First 10,000 emails are free every month. Use the monthly pricing calculator on site to find your price based on email volume. Lite. $90/mo. 5 campaigns. 300 tracked keywords. Standard. $179/mo. 10 campaigns. 1,000 tracked keywords. Advanced. $399/mo. 25 campaigns. 4,000 tracked keywords. Agency. $999/mo. 100 campaigns. 10,000 tracked keywords. Recently acquired by Hootsuite, AdEspresso is a tool that optimizes your Facebook Ads. FB ads are notoriously intimidating — where do you start when designing your first ad?AdEspresso allows you to create thousands of variations from one template, so you can test designs easily. Experiment with the most effective ads for acquisition and measure the results with AdEspresso's simple dashboard. Base. $49/mo. Up to $3,000 Facebook Ads spending. Premium. $149/mo. Up to $10,000 Facebook Ads spending. Elite. $299/mo. Up to $50,000 Facebook Ads spending. Deep Linked Email. $0.02 per click. Data Integrations. $0.0025 per event forwarded. Deep Linked Feeds. $0.02 per click. Sketchdeck is basically a crowd of designers. Provide a brief for your design project — like, “turn this data set into an infographic” — and the crowd of designers works like a robot. They send you a sample, so you can see the project's heading in the right direction, and then once you approve the sample, they go ahead and finish the job. Design emails, content upgrades, illustrated blog posts, to give your inbound marketing a leg-up without hiring. Membership varies according to your needs. Contact for more details. Once you're a member, projects cost a certain number of “credits.” Each credit is worth approximately $100. A project like designing an infographic from scratch will cost about 13 credits. 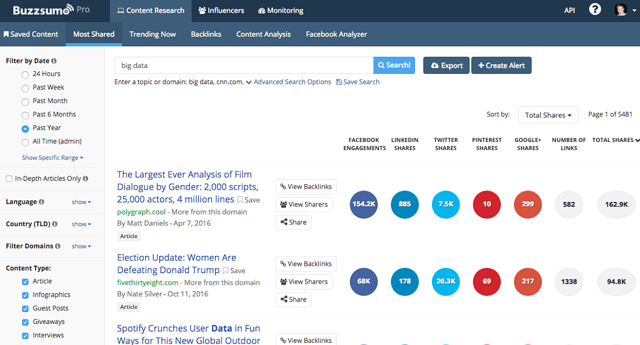 BuzzSumo is a content analysis tool. Plug in any URL and you can analyze the content on that page by a bunch of key indicators, including backlinks, Facebook engagements, and total shares. Spot the patterns by looking at all these indicators together in a dashboard. See what content is most popular and select your next content strategy based on what users are sharing. Pro. $79/mo. Starter plan for bloggers and small teams. Agency. $239/mo. For agency teams, with all Pro features plus the Facebook Analyzer. Enterprise. $559/mo. For brands and publishers. Advanced functionality for large teams. Put a Click to Tweet box into your posts to give users a quick way to share as they engage with your content. Write your own message in the box, create a custom link, and then share the link within your post or page. When customers click, they're taken directly to Twitter where the pre-written tweet allows them to share the news about you seamlessly. Best bit: You can track link activity over time so you can see what posts are more shareable. Pricing: Free. 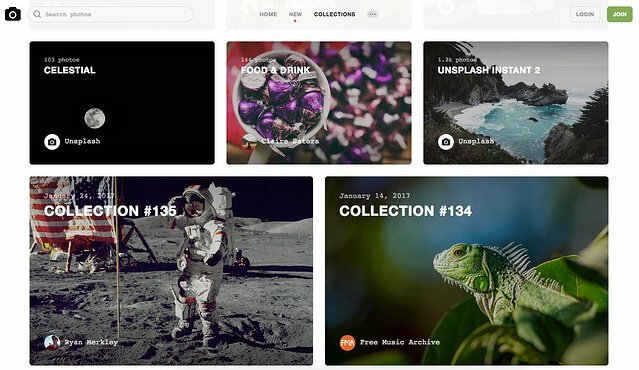 Unsplash started out with a few dozen images in high res available for free courtesy of a few independent photographers. The database has grown over the last few years and now provides a feed with a selection of ten free photos delivered to you every ten days. Search the Unsplash “collections” to find selections based on themes, including collections like “Light and Shadow” and “Photos for Parent Bloggers.” Use these to fill your social and blog posts with great quality imagery. Best bit: Twitter introduced inline images last year. 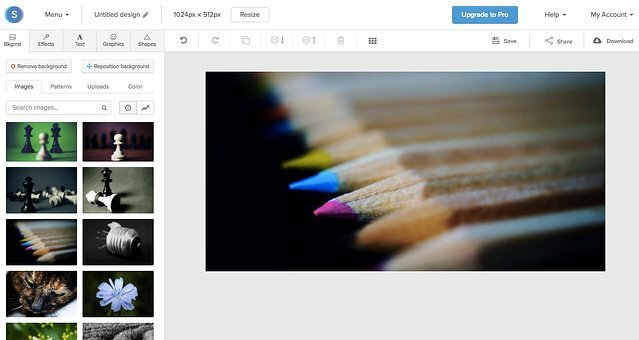 Uploading large, high resolution images now allows you to stand out in Twitter feeds — Buffer found that tweets with images receive 150% more retweets than those without images. Pricing: Free. Love. $9/mo. 10 profiles, 100 posts a day. Guru. $19/mo. 25 profiles, 250 posts a day. Master. $49/mo. 50 profiles, 500 posts a day. Agency. $99/mo. 100 profiles, 1000 posts a day. Venture. $199/mo. 200 profiles, unlimited posts. 50 emails to journalists. $65/mo. 250 emails to journalists. $113/mo. Unlimited emails to journalists. $497/mo. Boost the conversion-power of your marketing materials by giving them a visual pop. With Snappa you can drag and drop images into your posts from their 30,000+ depository and upload your own logos and fonts to keep everything you create brand-aligned. Starter. Free. 5 downloads per month. Pro. $10/mo. Unlimited downloads and templates. Swagger is an open-source tool for building APIs — it allows you to grow your developer user-base by opening up your API to a community. 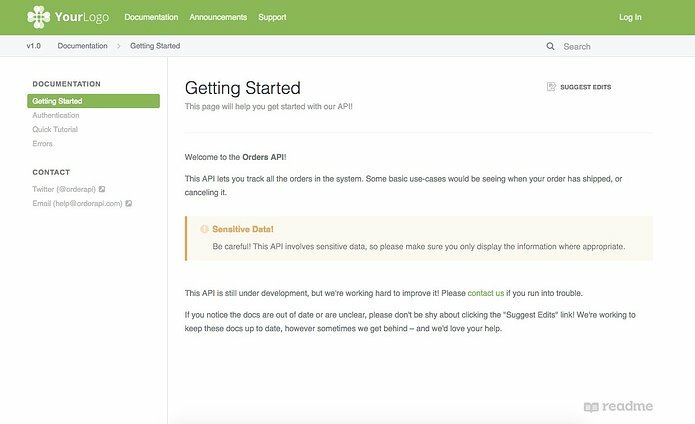 Use Swagger's tools to design, build, and document your API, and get access to an “ecosystem” of developers and API projects to help you. Get more developer eyes on your API and make it easy for them to integrate with your product.Best bit: The framework tool is supported by a large, active community. Boost developer acquisition further by crowdsourcing the answers to your questions, or attending developer meet-ups and events to share what you're working on. Pricing: Free. ReadMe is a tool for making your API documentation easy to read and use. Acquire more developers by making it as easy as possible for them to get up and running with your product. Add your own brand elements to customize your docs with tried-and-true templates. Developer Hub. $59 per month per project. White Label. $199 per month per project. Once you've acquired all your new users, you can't just let them wander around your product aimlessly trying to get value out of it. You have to bridge the gap between exploration and value-perception. Growth hacking tools can help you get to know your customers better and get insights from them as they discover your product, so you can deliver what they need when they need it. You can build on the momentum of your onboarding flow by treating your engagement funnel with the same gusto. With Appcues, you can onboard and activate new users, and help engaged users discover more features. Bootstrap. $99/mo. Up to 1,000 MAUs. Startup. $299/mo. Up to 4,000 MAUs. Growth. $699/mo. Up to 20,000 MAUs. Enterprise. Request a demo for more info. Infinite MAUs. 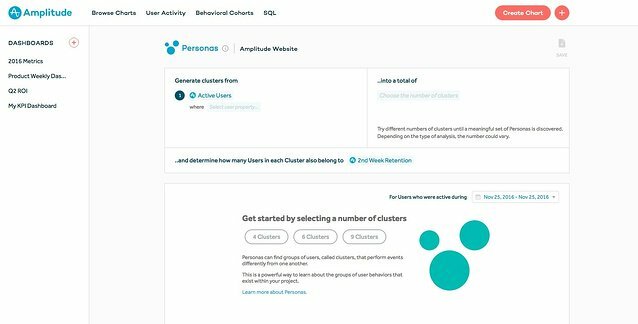 Literally used by Microsoft, Amplitude is a suite of tools that handles data collection and gives you back analysis, organization and cohorting, and visualization for your web and mobile apps. Leverage Amplitude's event-based data during the engagement stage of the funnel and discover which user actions lead to greater engagement with your product. Starter. Free. Up to 10 million monthly events. Elite. From $2,000/mo. Custom data volume. Enterprise. Contact for a custom package. Team. Pay-as-you go. $10 per 1000 MTUS. Business. Annual contract, unlimited sources, integrations and warehouses, customizable volume. “What's making your visitors leave?” is the question Crazy Egg asks when you sign up. It's the vital engagement question and the force behind this heatmap tool. 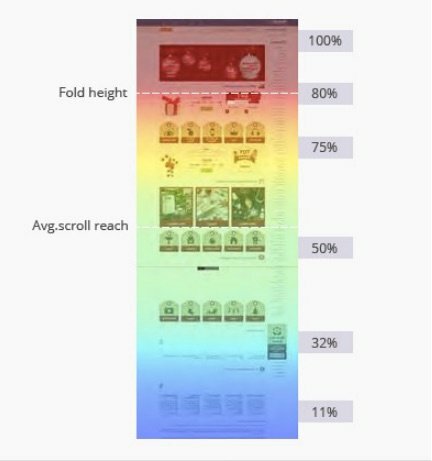 With visual representations of where your users are sticking, clicking, and dropping off, you can optimize every facet of your site for high engagement. Basic. $9/mo. 10,000 visits. 10 active pages. Standard. $19/mo. 25,000 visits. 20 active pages. Plus. $49/mo. 100,000 visits. 50 active pages. Pro. $99/mo. 250,000 visits. 100 active pages. $25 per license per month. Ever thought of texting your customers? You know they're on their phones most of the day. SMS is an underused business tool that can actually be the most efficient way to connect with customers along the customer lifecycle. 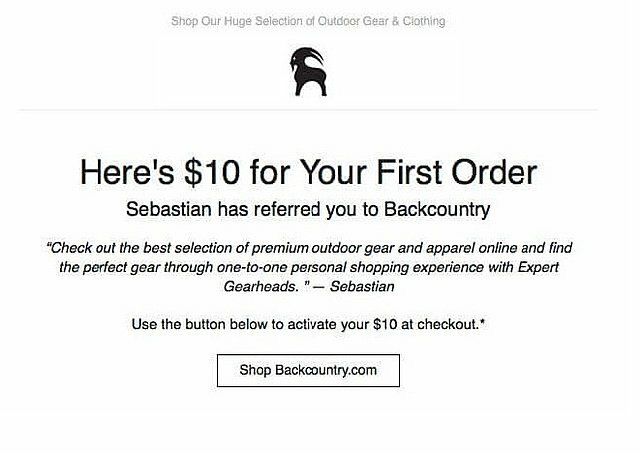 Set up Sonar on your website or app so visitors can text you with a click to share a problem, ask a question, or take action towards their next purchase. Lite. $15.33 per agent per month. Growth. $24.67 per agent per month. Accelerate. $46.75 per agent per month. Kissmetrics is a product analytics tool with growth in mind. Peer into the stages of your user's lifecycle to see why they convert and when and why they leave. Understand the factors that lead to engagement and, ultimately, drive growth by doing more of what's working. Power. Starting at Custom Pricing. Depends on the integration. 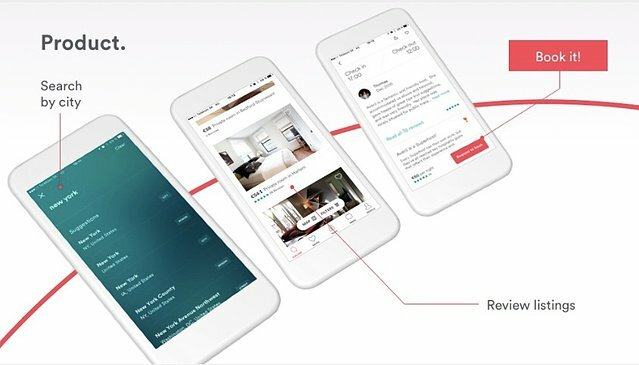 Connecting Clearbit with Google Analytics costs $199 per month. Integrating with Marketo costs $499 per month. 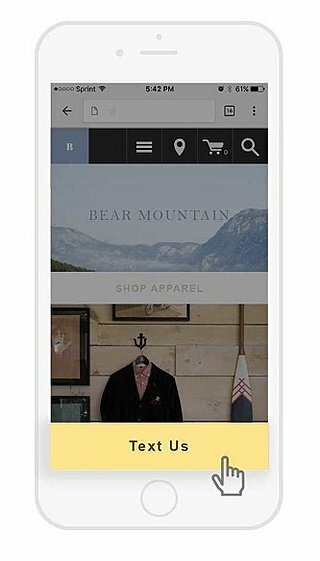 Apptimize is a mobile-first platform for developing native applications. It offers real-time UX changes, AB testing, targeting, feature flags, and analytics, so you turn your app into a growth lab by tweaking the user experience without having to head back to the App Store or Google Play to update. Always free for <10K MAU. Growth. Free 30-day trial, then select another plan. Enterprise. Custom plans, get a demo for more info. Free forever. For personal tasks. Two-step zaps. For work. Starting at $20/mo. Three-step zaps. For teams. Starting at $125/mo. Share and edit zaps together. Starter. $99/mo. 12,500 customers. 25,000 emails. Growth. $299/mo. 100,000 customers. 250,000 emails. Pro. $549/mo. 175,000 customers. 400,000 emails. Scale. $749/mo. 300,000 customers. 700,000 emails. Enterprise. $1,049/mo. 500,000 customers. 1,000,000 emails. Typeform is a tool for creating polls, surveys, forms, and other interactive documents for your users. You can either use a template or start from scratch and design your own. Design surveys with an easy drag-and-drop tool, and then place them before your customers to gather data without requiring them to leave your product. Pro+. Starting at $59/mo. 1 user, but you can “add more seats” if you need to. If you're not using Google Analytics, your growth will be a mystery to you. Set up Analytics for your website and it's like attaching a heart monitor — you'll suddenly be aware of the health of your domains and the flow of your user interactions. Because it's such a comprehensive tool, you can delve into Analytics for specific insights, like comparing particular pages over time or track how organic search is growing as you perform experiments on your content. Best bit: Google's developers have made it easy for other tools to integrate with Analytics, so there are tons of useful integrations out there for you to add more context to your toolkit. Pricing: Free. Wistia provides video hosting for business. It helps you improve your website by embedding great videos that in turn help users adopt your product. 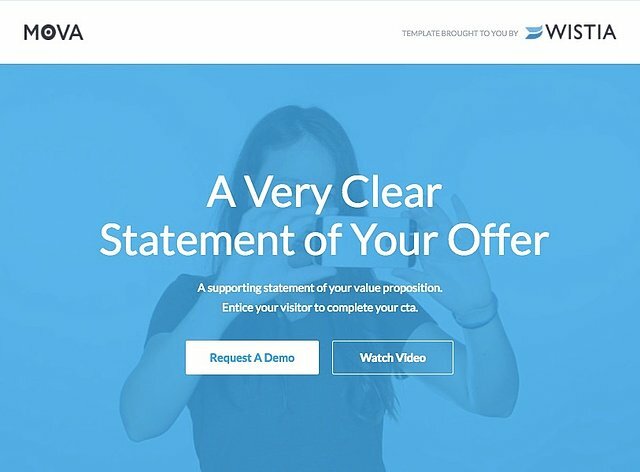 You can access your videos' analytics to see how many visitors are viewing each video, insert a lead generation form into your video to capture leads, and craft videos to make your pages stickier for users. Free. Try out all features on 3 videos. Pro. $100/mo. All features, add as many videos as you need. Premium. Starts at $300/mo. Advanced features and specific business needs. Growth. $100/mo. 15,000 profiles. 30,000 free messages. Small Business. $250/mo. 50,000 profiles. 100,000 free messages. Startup. $750/mo. 250,000 profiles. 500,000 free messages. Enterprises. $1,250/mo. 500,000 profiles. 1,000,000 free messages. Call for Professional and Premium plan information. Free. Sample Mixpanel's core analytics and see if it's right for your business. Startup. $99/mo. Starting at 1M Data Points per month. Business. $999/year. Starting at 10M Data Points per month. Enterprise. Contact for more information about custom plans. Free. 1,000 monthly sessions. 3 user seats. Professional. 25,000 monthly sessions. 20 user seats. Enterprise. 1,000,000+ monthly sessions. 50+ user seats. Intro offer. $49 per video for your first 10 videos. Pro Plans. Contact for more info. Your users have the potential to growth hack your business for you. If you stay on top of what they need and want, keep them updated, and keep building on the relationship you've initiated with them, users will become loyal fans of your product. 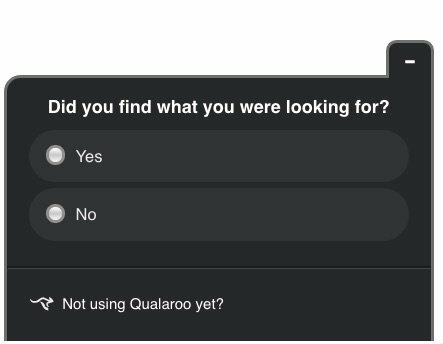 They'll establish a routine of using it, and more than that, they'll tell their friends about your product and multiply that lifetime value by n.
Qualaroo's survey tool allows you to design simple survey boxes to collect feedback as users navigate your product. Because the surveys appear right beside features, you can get results in real time, and directly serve your users' pain points and questions. The surveys are easier for the customer to fill out than a separate, emailed survey, which means you'll get more feedback to work with and a better idea of what your next product iteration should be to improve retention. Baremetrics is a tool for all your subscription metrics. Analyze the health of your subscription business by looking at MRR, user churn, failed charges, refunds, Customer Growth Rate, and more, to build a complete picture of how users are subscribing. Pinpoint areas to improve and drive growth. Startup. $50/mo. $10,000 MRR or less. Professional. $100/mo. $50,000 MRR or less. Business. $250/mo. $200,000 MRR or less. Enterprise. $500/mo. $500,000 MRR or less. 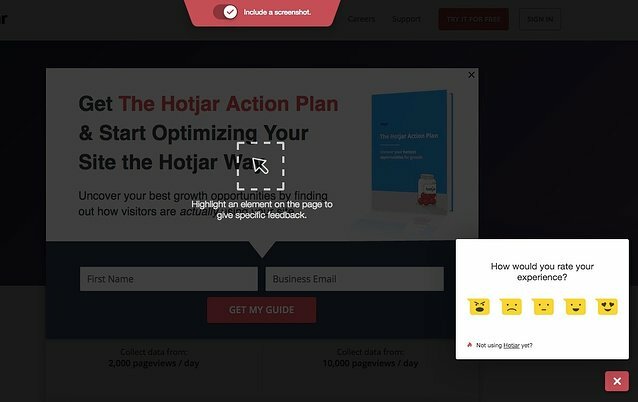 Hotjar is an all-in-one customer feedback tool. It comes with heatmaps and customer session recordings so you can see how users travel around your pages and where they stick. It also provides in-line surveys and polls that are easy for users to fill out — just click to answer and the survey box disappears. 2,000,000+ pageviews/day. Contact for more info. Bronze. $29/mo. 5,000 visitors per month. Max. 1 domain. Silver. $59/mo. 15,000 visitors per month. Max. 2 domains. Gold. $99/mo. 50,000 visitors per month. Max. 4 domains. Platinum. $199/mo. 250,000 visitors per month. Max. 10 domains. Agency. $399/mo. 1,000,000 visitors per month. Unlimited domains. Unbranded. Enterprise. Custom. Contact for more information. <20,000 customers. A platform for your advocacy marketing, Extole allows you to “find your best customers” by using first-party and social network data about the people who are referring your product. Track referrals to keep a dashboard of your program and share progress with your team. All custom, based on your company's needs. Pro. Starting at $89/mo. 10,000 contacts. Plus. Starting at $369/mo. 25,000 contacts. Premium. Starting at $779/mo. 75,000 contacts. Small. $99. 25 Accounts. 5 team members. 2000 scheduled posts. 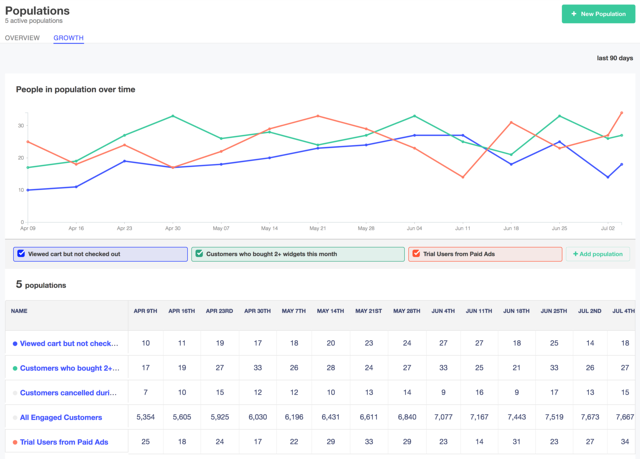 Connect Growth Report to your analytics tool, and it will send you digestible graphs and updates on the key indicators you're measuring. How many people signed up today? What percentage of new users formed usage habits this month? The reports are chart-based so they give a quick hit of insight as you work. 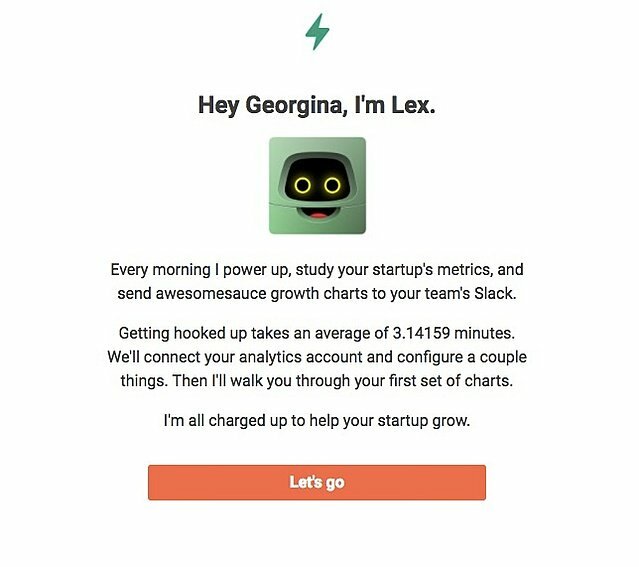 Best bit: Integrate with Slack to get growth graphs as you connect with your team, so you can have conversations about growth in context.Pricing: Free, just the price of your existing analytics tool. Free. $0 forever. 1 mailbox, unlimited users. Standard. $20/user/mo. 5 mailboxes, unlimited users. Plus. $40/user/mo. Unlimited mailboxes and users. Starter. $9/mo. Up to 150 daily follows. Intelligence. $39/mo. Custom daily follows and favorites. Agency. Custom pricing. Fully Custom daily actions. Solo. $29/mo. 1 user. 2 basic alerts. 3,000 mentions. Starter. $99/mo. 3 users. 5 basic alerts. 5,000 mentions. Custom. Custom mentions and alerts, and unlimited users. Schedule a demo. Majestic is a “link intelligence map.” It basically allows you to explore how different pages of the internet are connected. Other than just geeking out over patterns in the web, Majestic is a great tool for comparing your URLs against those of your competitors. Place URLs side by side and get a picture of how your backlinks and referring domains compare. Silver. $78.99/mo. 1 user. 5 million downloadable links. Gold. $169.99/mo. 5 users. 25 million downloadable links. Platinum. $399.99/mo. 15 users. 100 million downloadable links. Free Forever. 1 operator. 20 chats per month. Premium Features. $17/mo. Chat reports, CRM Integrations, Targeted Chat, Operator Groups. 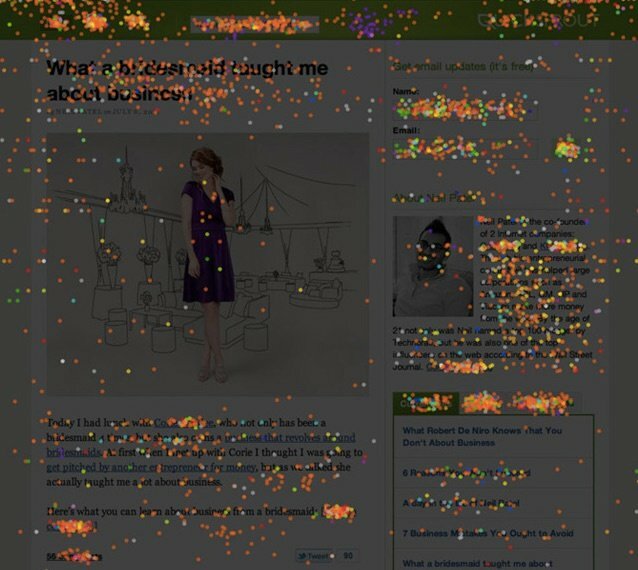 Clicktale is a webpage analytics tools that gives you a bunch of different types of heatmaps that tell the story of how your users move around your product. Clicking heatmaps show where users are actually engaging with features. Mouse movement heatmaps show where users are moving but not clicking. You can even get a visual representation of how your links are performing. Request a demo for more information. CloudSponge lets users access their address books without having to leave your product. Growth teams at Airbnb, Kiva, and Yelp use this tool to encourage referrals and create "find-a-friend" viral loop mechanisms. Best bit: CloudSponge works just as easily with international email providers as it does with popular U.S. email providers. CloudSponge makes sharing a breeze for fast-growing global products. The real benefit of this huge array of growth hacking tools is that you can connect them together and make a machine that's stronger than the sum of its parts. Use the integrations and add-ons that each tool provides, or build your own. Link tools with other tools to bridge gaps in your product, speed up the flow from one area to another, or feed processes with data. Play Lego with your growth hacking tools and create opportunities for growth where there were none before.